Saturday 13th March, 2010: Formula One Paddock, 2010 FORMULA 1 GULF AIR BAHRAIN GRAND PRIX. Luxury Swiss watch brand Hublot is proud to announce that it has been appointed the Official Watchmaker of Formula 1™ and as part of this multi-year agreement will produce a range of high tech, limited edition, luxury Formula 1™ watches and exploit the additional designation Hublot – The Official Watch of Formula 1™ on an exclusive and global basis. Hublot is delighted to have elevated itself to an unassailable position in Formula One motor racing by securing an agreement with the iconic brand itself. Formula 1™ epitomises cutting-edge technology, high performance, precision and international sporting glamour and this globally revered brand will now inspire a new generation of fabulous Hublot timepieces. Hublot is to initially mark its presence with the creation of a special watch in the form of the F1™ King, a restricted production run of a King Power model incorporating the famous F1™ logo in white gold, as well as a further Limited Edition Series in the colours and style of the most prestigious Grands Prix. A Hublot boutique will present its collections in the Formula One Paddock Club™ at several events and the company will run a guest hospitality programme throughout the F1™ season. The series of watches dedicated to Formula 1™ will be directly inspired by the world of F1™, combining the finest know-how and manufacturing processes at the cutting edge of research and high tech materials. 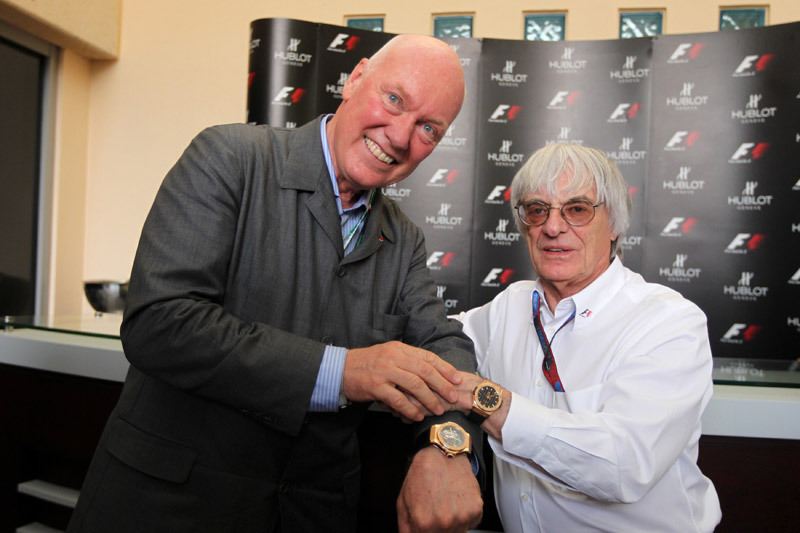 Jean-Claude Biver, CEO of Hublot SA is full of enthusiasm: “I have always had great admiration for the exceptional and unique achievements of Bernie Ecclestone. Without him there would be no Formula 1: he created this global phenomenon’. I have also had a great deal of admiration for the drivers who are able to control these ultra-sophisticated racing machines down to the slightest movement, all at incredible speed. Nor should we forget the cradle of high technology that F1 represents. It’s such a delight to be here with Hublot today, so close to Bernie, the racing, the drivers, the cars, the high technology and the F1 Grand Prix in general. This is the start of a very special relationship”. 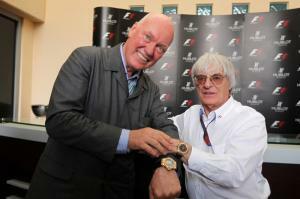 Bernie Ecclestone, CEO of the Formula One group: “I have long had a keen interest in watches and the art of watchmaking and I am very pleased to be announcing this deal today. Hublot’s meteoric rise in the industry has been a very well managed achievement and I would like to congratulate Jean-Claude for this. There is an energy, creativity and dedication to perfection about Hublot which sits very well with us and I could not think of a better brand with which to begin a new chapter in Formula One’s enduring association with luxury watches”. 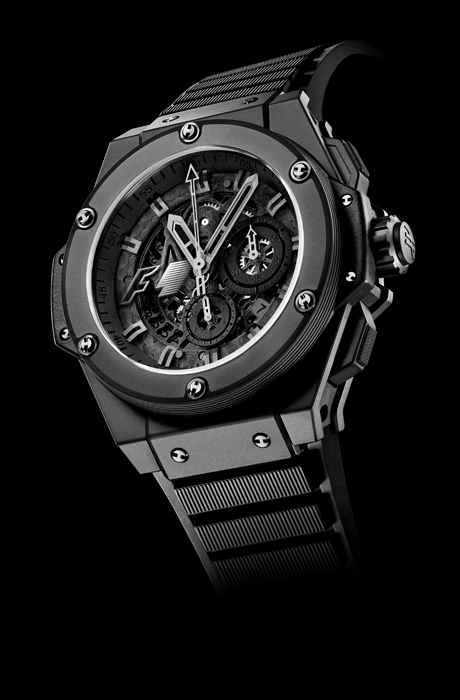 About Hublot – The exclusive story of Fusion. In 2004, Jean-Claude Biver – one of those rare men who have genuinely left their mark on Swiss watchmaking – achieved a new tremendous success bringing revolution in watchmaking. Working on its growth and future, he developed with the company the “Art of Fusion”, the way of thinking and creation at Hublot : combining unexpected materials (ceramic, carbon, tantalum, tungsten, titanium, magnesium …) with precious and conventional materials, employing the most cutting-edge technologies, while still remaining true to the watchmaking know-how of our ancestors. Formula One™, which began in 1950, is the world’s most prestigious motor racing competition and is the world’s most popular annual sporting series. In 2009 it was watched by over 520 million unique television viewers from 188 territories.The 2010 FIA Formula One World Championship™ runs from March to November and spans 19 races in 18 countries across five continents. Formula One Administration Limited, a subsidiary of the Formula One group, was founded by CEO Bernie Ecclestone and holds the exclusive commercial rights to the FIA Formula One World Championship™. For more information on Formula One™ visit Formula1.com.